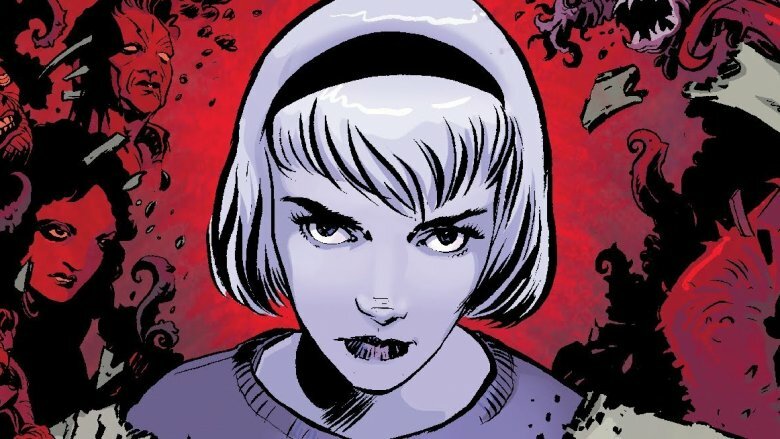 Greg Berlanti is moving The Chilling Adventures of Sabrina to Netflix. According to The Hollywood Reporter, the show has received a two-season, 20-episode straight-to-series order of an untitled Sabrina the Teenage Witch drama based on the Archie Comics graphic novel. The Chilling Adventures of Sabrina was initially set to be a companion series to The CW's Riverdale. The show, which tells the dark origin story of Sabrina in Riverdale's neighboring town of Greendale, follows Sabrina as she tries to balance being half-witch and half-mortal while fighting against the evil forces threatening her, her family, and the world. It's unclear if the show will still exist in the same universe as Riverdale. The show was initially put into development at The CW in September. The network is said to have immediately begun their casting search, and the producers are said to have a list of actresses they were looking at for the title role. However, that list is likely to be reconsidered now that the show is moving to Netflix. Riverdale creator Roberto Aguirre-Sacasa wrote the script for the pilot. Sources say that the show is set to shoot back-to-back with the first series of episodes filming from February to June and the second from June to October. The writers' room for the show opens on Monday, and The Age of Adaline's Lee Toland Krieger is on board to direct. A premiere date for the show has not been announced yet. Executive producers include Berlanti, Aguirre-Sacasa, Krieger, Sarah Schechter, and Archie Comics CEO Jon Goldwater. Netflix has had a lot of success streaming the first season of Riverdale, and The CW also got great returns from having the teen-oriented show on the streaming platform, raising the ratings 60 percent for its second season when it premiered this fall. The Sabrina series could be the first of many Riverdale spin-offs, with Aguirre-Sacasa saying before the show debuted that he wanted to "expand" the world of the series.